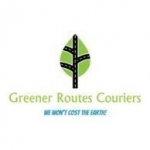 Here at Greener Routes Couriers we offer a professional, reliable and fast, sameday courier service. We can collect from anywhere in mainland UK within 90 minutes of booking and deliver to wherever you need. Whether you have a single document or a number of pallets, we can help keep your business running smoothly. Great Prices, great attitude, great people, great timekeeping and a great help. Did I mention that Greener Routes Couriers are great! I Sold an expensive engine and needed a courier to take it to the buyer. I tried the big boys but the prices and terms made it uneconomical. I called Greener Routes Couriers on recommendation of a friend and they collected and delivered without any problems. The buyer was happy as was I. Thank you very much!